With the all the enthusiasm around the cloud movement, adopting the hybrid cloud model is far from a straight-and-narrow path. Organizations need to properly evaluate cloud options and determine the appropriate mix of private and public cloud services that are in sync with their needs. Before setting a plan in motion, first evaluate barriers to hybrid cloud adoption, including data security standards, compliance rules, and on-premise integration requirements. Let's take a closer look at these potential hurdles and review best practices for navigating around them. Security and privacy concerns - A hybrid cloud environment allow organizations to use the hybrid cloud model as an extension of the existing IT environment. This means IT can apply current management tools and governance used in data centers and in the private cloud to maintain privacy, security, and compliance without re-inventing the wheel. However, it's important to consider that while traditional IT deals in a firewall environment, cloud environments require multi-pronged security and privacy strategy because gaps in data security can exist. When organizations are processing, storing, or transmitting data that are subject to regulatory and compliance requirements, maintaining the security of the information is paramount whether it's an entity regulated under PCI or those that have sensitive business intelligence data. A successful hybrid cloud deployment requires a shared security responsibility approach, where providers and enterprises work together to mitigate risks. Look for providers that have the experience and certifications necessary to help protect and connect cloud workloads. This will allow IT departments to deploy a more robust security architecture and a benefit from a far better experience across cloud and on-premises environments. Also, if using a public cloud provider such as AWS, Azure, or Google Cloud look for network and application security solutions that can be deployed and fully integrated with that specific cloud platform. 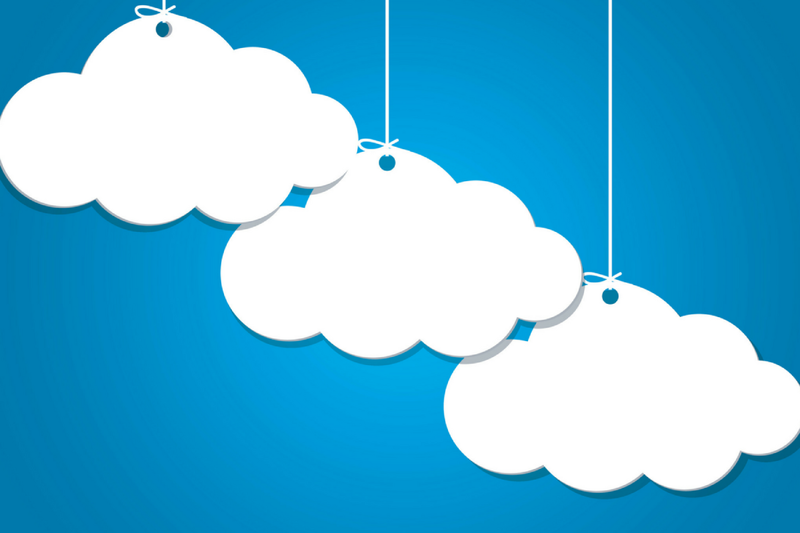 This can help the organization leverage the benefits of the cloud more quickly. Cloud-ready platforms that offer an intuitive user interface to manage cloud deployments, including the ability to configure and provision it directly, can reduce headaches and deliver more cohesive cloud and on-premise management. Redundancy - To maintain data security and privacy, cloud architects also need redundancy across data centers in order to reduce the vulnerability of a serious security risk- such as an outage in a single data center. If redundant copies of data are distributed across data centers, risks are reduced and it's easier to move virtual machine instances between data centers as needed. Integrating cloud and on-premise applications - Interoperability of platforms and applications on-premise and in the cloud, is a key concern for enterprises considering hybrid cloud. Ensuring compatibility between on-site and off-site environments, where data is connected and integrated with public and on-premise systems can be complex. Today Integration Platform as a Service (iPaaS) reduces this burden and makes it easier to build and deploy integrated apps in the cloud and in-between. iPaaS generally includes connectors and business rules that remove the complexity of application integration and allow for integrated cloud-based applications. APIs can also facilitate integration with systems and ensure application workloads are aligned to the right platform. An intuitive cloud management platform can help with this process and provide an integrated tool suite to automate management across public and private clouds. A single management console for hybrid and multi-cloud management will help avoid common mistakes during the integration and provide a self-service approach that streamlines operations. The platform should include automated provisioning and workload optimization that relies on policies, workflows and roles-based access controls. Migrating legacy workloads or new applications to the cloud can be a significant effort so it's important to consider providers and solutions that bridge the gap between on-premises and cloud infrastructures. Organizations that can successfully leverage the hybrid cloud model and secure access to data across the enterprise, regardless of where it resides, are more competitive and ready to take on new business opportunities.